You’ve had the urge to ride since you put your motorcycle in storage last Fall. Spring has arrived and riding season is within reach. Don’t let the excitement to ride get the best of you. Go through our checklist and make sure you’re officially ready to ride when it’s go time. If you haven’t taken a motorcycle safety course now is the time. Motorcycle safety courses are often offered locally and could lead to discounts on your motorcycle insurance. Courses are also a great opportunity to practice your safe riding skills. Make sure to register your motorcycle license plate. If you have previously registered your bike, make sure the registration is up to date. Before you take off check the belt, chain, horn, blinkers, head light and break light are working properly. Are your tires at proper pressure? Check the fluids and fill up your gas tank. 4. Get riding gear Are you wearing proper riding gear? Helmet, riding jacket, boots, and riding gloves are a few must haves before you ride. Wear appropriate riding gear that protects you. If you’re taking a longer ride check the forecast to make sure you get to your destination and that you won’t encounter inclement weather before you arrive. What is your skill level? It is good to know what roads you are comfortable riding on. Also be aware of what speed zones you’re in and follow the rules of the road. Is your motorcycle insured? Get coverage before you ride. Answer all the agent’s questions honestly to receive the best coverage for you and your motorcycle. 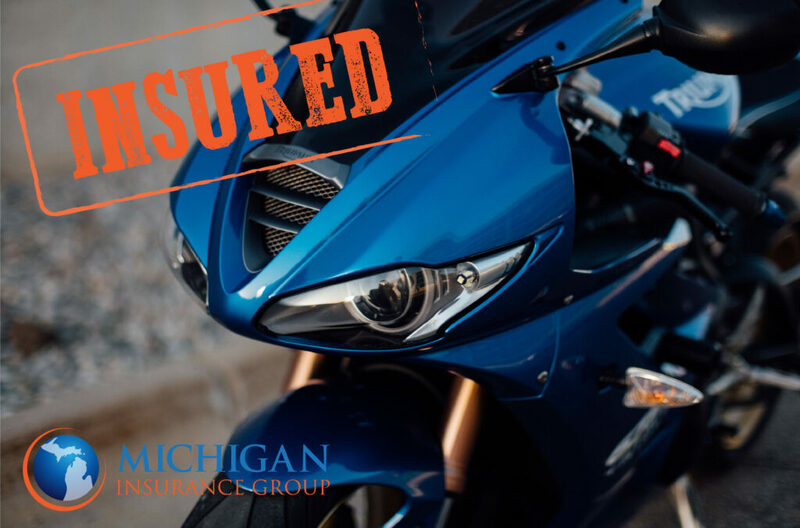 Michigan Insurance Group will be happy to help you with motorcycle insurance and any questions you may have.